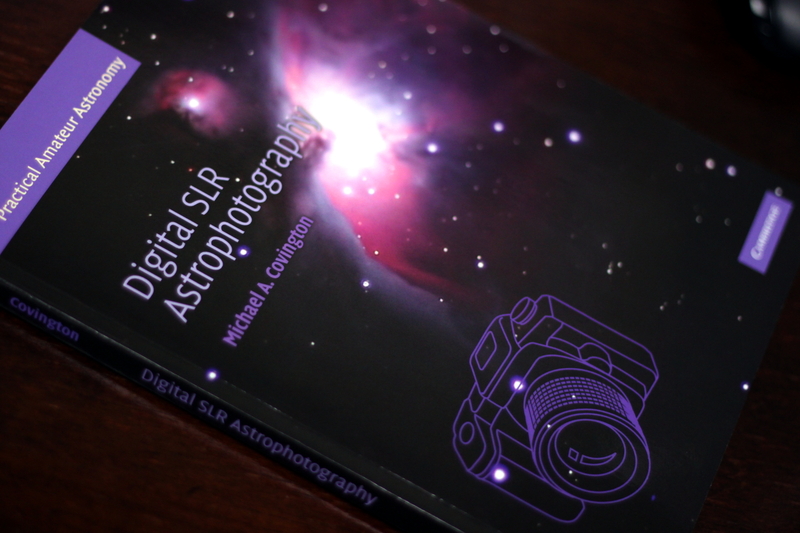 If you’re just getting interested in astrophotography and you have a DSLR camera, then this book is an excellent starting point. It introduces the necessary equipment for starting out, but it also introduces the reader to some of the parts of the camera. In addition to equipment this book also teaches image processing – how to edit them – what to do with flat frames, dark frames and bias frames and how to take them. Also how to stack images and what are some of the most needed functions in Photoshop (although their almost the same in GIMP). In general I found it interesting although I’ve been using my DSLR for astrophotography for a couple of years now, I still got some new information that I didn’t know before. It focuses mostly on the technical side of astrophotography – what and how to use and why. This entry was posted in Uncategorized and tagged astrophotography, book review, books, Digital SLR Astrophotography, Michael A. Covington. Bookmark the permalink.